Scientists have come up with a new way of picking out problematic parts of the bacteria that causes tuberculosis (TB) that is resistant to drugs. Using a new technique known as fluorescence dilution, a team of South African scientists found that they can identify, isolate and target the persistent bacteria. The fluorescent dilution uses two glowing proteins to label the resistant bacteria. One protein tracks live bacteria while the other measures its growth. The method is applied to identify and isolate individual bacteria for study. According to the scientists drawn from Stellenbosch University in South Africa and Imperial College, London, the technique which is similar to using “micro-tweezers” to physically pick out the slow-growing bacteria from the rest, enabled them to find the hard-to-identify persistent bacteria. “We were able to do this by applying the same approach that has been used to isolate the bacteria that causes food poisoning, salmonella,” said Samantha Sampson, a TB researcher at Stellenbosch University. This involves subjecting the bacteria to conditions that come closest to those found in the body as opposed to conditions in the laboratory. “Using this technique, we found that when bacteria entered a specific type of white blood cell, a population of non, or slowly-growing persistent bacteria, appeared. “White blood cells play a critical role in defending the body against invading bacteria. In the laboratory, we use them to mimic the environment found in the body,” she added. The emergence of drug-resistant tuberculosis has significantly complicated global efforts to fight the scourge of the disease. Each year, more than nine million people are infected with TB and another 1.5 million die. Doctors advice is that TB infection is reported as early as possible to commence treatment. Patients who report early cases of TB can get a six-month treatment and many are cured. Globally, around five per cent of TB cases are thought to have resistance to the two most effective drugs. This translates into 480,000 cases worldwide – and 190,000 deaths from this form of TB every year. In Kenya, the number of TB cases has dropped by 40 per cent, but the Ministry of Health acknowledges that more still needs to be done in testing if the country is to eliminate the disease. 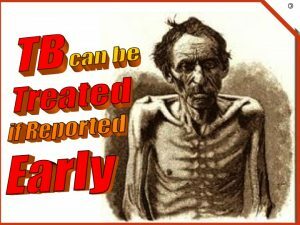 TB is highly contagious and is caused by bacteria called mycobacterium tuberculosis, which attacks the lungs and can also damage other parts of the body. It is spread through inhaling tiny droplets from the coughs or sneezes of an infected person. Most TB treatments target bacteria that actively grow in the body. “But a very important subset of bacteria is able to survive treatment. These are known as persistent bacteria,” explained Dr Jomien Mouton, a researcher at the Centre for Tuberculosis in Stellenbosch University. Drug-resistant TB occurs when the bacteria becomes resistant to one of the common TB drugs, rifampicin. Dr Mouton added that though the persistent bacteria only represent a very small proportion of the bacteria that causes TB, failing to get rid of them can have devastating consequences. They are responsible for lengthy drug treatment, and could contribute to drug resistance. They therefore should also be the target of TB therapies. “The challenge with these persistent bacteria is that they are very difficult to isolate. This makes it difficult to study them and therefore difficult to develop drugs to kill them,” added Dr Mouton. New World Health Organisation (WHO) recommendations aim to speed up detection and improve treatment outcomes for multidrug-resistant tuberculosis (MDR-TB) through the use of a rapid diagnostic test and a shorter, cheaper treatment regimen. At less than US$1000 per patient (Sh100,000), the new treatment regimen can be completed in 9–12 months, compared to the conventional treatment regimens, which take 18–24 months and cost $2,400 (Sh240,000) for the medicines alone. “The shorter regimen is recommended for patients diagnosed with uncomplicated MDR-TB, for example those individuals whose MDR-TB is not resistant to the most important drugs used to treat MDR-TB, known as “second-line drugs”. “It is also recommended for individuals who have not yet been treated with second-line drugs,” says a statement from the WHO. 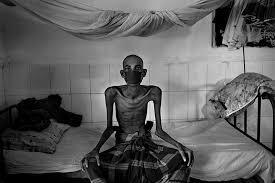 Tuberculosis (TB) infections in Kenya are “higher than thought”, with 81,457 Kenyans having been infected last year. The head of the TB department in the Ministry of Health, Dr Enos Masini, says the infections demand an intensive TB testing and swift treatment to curb the contagious disease that killed 10,000 Kenyans last year. These are some of the preliminary findings in an ongoing nationwide TB prevalence survey expected to end this month. “With 90 per cent of the research done, we are noticing that the burden of disease is higher than we thought. “We need to plan to have more X-ray scans to diagnose the disease as well as put in more resources for TB,” he told the Nation on Wednesday during a counties meeting on how to manage resources for TB, malaria and HIV/Aids under the Global Fund grants. The high TB burden reflects the ministry’s fears that one in every three Kenyans has the TB bacteria but are not ill and do not have symptoms. 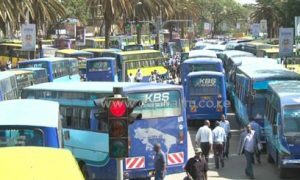 This translates to about 14.4 million Kenyans who have the latent TB infection, which is not contagious. But it can turn into active TB when there is reduced immunity, where the body’s defence system fails to protect people from the disease. 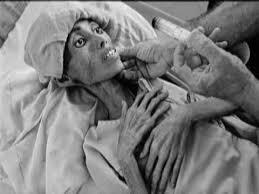 The most vulnerable include people infected by HIV, those with a poor diet, those who consume excessive alcohol, those with long-term use of medications such as steroids, people with diabetes mellitus and smokers. Another area of concern is Multi-Drug Resistant TB, where the TB bacteria becomes resistant to one of the common TB drugs. It is more lethal, infectious, and expensive to treat. About 72,000 people in urban and rural areas have been interviewed in the one-year survey in order to gauge the disease’s prevalence. Currently, Nairobi, Mombasa, and Homa Bay have the highest TB infection rates. One reason why urban population has higher TB prevalence is that many live in poorly aerated homes and travel in PSV vehicles with permanently sealed windows. Many travellers, even on short distances, close windows and seem not to care when passengers cough uncontrollably with the potential of infecting them. In addition to chest X-rays, the study is also collecting sputum (a mixture of saliva and mucus coughed up from the respiratory tract) samples from people above 15 years old that will be tested for the TB bacteria. Those found infected will be put on treatment at the closest public health facilities. There are at least 3,100 TB treatment centres and 1,860 TB diagnostic sites in the country.